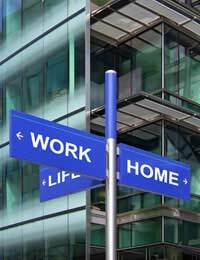 Home > Aspects of Psychology > Does Psychology Offer a Good Work Life Balance? With more and more people understanding that a good work/life balance is the key to a fulfilling and happy life, it is increasingly a question that is asked when deciding on a career. Whether you are considering a career in psychology straight from university or as a career change later in life, understanding how you can achieve a good work/life balance is paramount. Essentially, having a good work/life balance means that no one individual aspect of your life dominates to the point of difficulty, stress or impracticality. This usually manifests itself in being able to do ‘family things’ like take the children to school or attend sports days while still earning enough money to afford the lifestyle you want. Whether or not a career in psychology offers a good work/life balance is predominately determined by two key factors – the hours you work and the pay you receive. These two factors in turn are determined by who you are employed by and how much experience you have, so these are the areas we shall focus on. The three main types of employer within the psychology sector in the UK are the NHS, private practice and self-employment. You may automatically think that the NHS offers the least flexible of those three options, but that is not necessarily true. Working as a psychologist in a private practice can mean long hours and extra responsibility, particularly when you are aiming for promotion. There can be all manner of petty and not-so-petty office politics when dealing with colleagues in a private practice that can sometimes outweigh the benefits of being more autonomous, but it can also be better paid as there is far greater flexibility in charging clients. Working as a self-employed psychologist is the most likely to earn you a great salary, as you have the ability to charge whatever you like, but of course you have to be competitive to win business, or develop such an excellent reputation that people will pay your high rates! This can cause a stress of its own, as how ever high your hourly rate is, if no one is booking you it doesn’t matter. Winning business is difficult and is a constant aspect of being self-employed in any field. Working as a psychologist for the NHS can mean that your career is a slower build, but you do not have the added stress of having to win business and you will have far greater job security than the other options. This means a better work/life balance in many ways. Many psychologists start their career with the NHS, with a number going on to open their own private practice or become self-employed after they have become an expert in their particular field. Consequently, it would make sense to assume that achieving a good work/life balance is more possible later in your career once the stresses of winning new business and building your reputation is more stable. This means that the benefits of working in a private practice or being self-employed are more readily accessible. It is worth noting that part time work as a psychologist is not common unless you are experienced and/or self-employed, and this is often cited as a valuable tool in a good work/life balance.